Welcome to Weetangera Primary School. At Weetangera we work closely with our students, parents and school community to develop a successful, enriching learning environment for all our students. 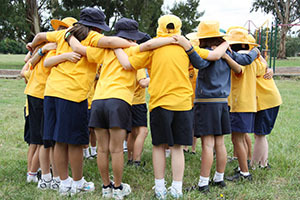 Our school values of honesty, respect, empathy and integrity are reflected throughout all aspects of school life at Weetangera. Our students will learn and achieve to their potential. They will acquire skills that allow them to lead productive and responsible lives.